Are you starting your career and looking for a challenging, yet highly satisfying job? 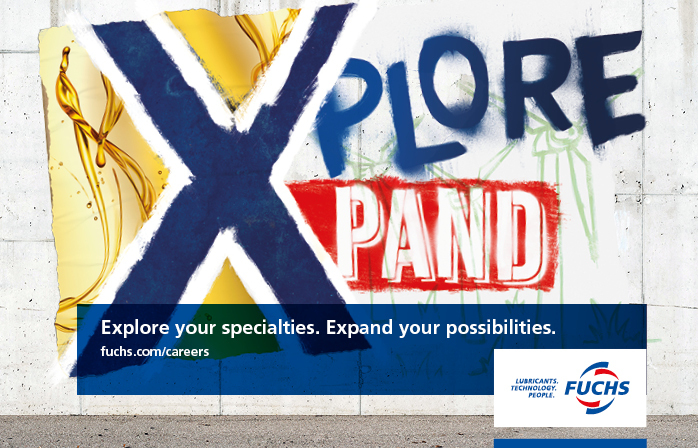 Why not explore the many career-entry opportunities we offer! At FUCHS, you will be part of a team of more than 5,000 committed employees in more than 45 countries around the world. Join us now and be entrusted with responsibility from day one. Get the most out of an inspiring corporate culture that is based on respect, trust and integrity. And grow on a personal and professional level as you continuously expand your skills and know-how.